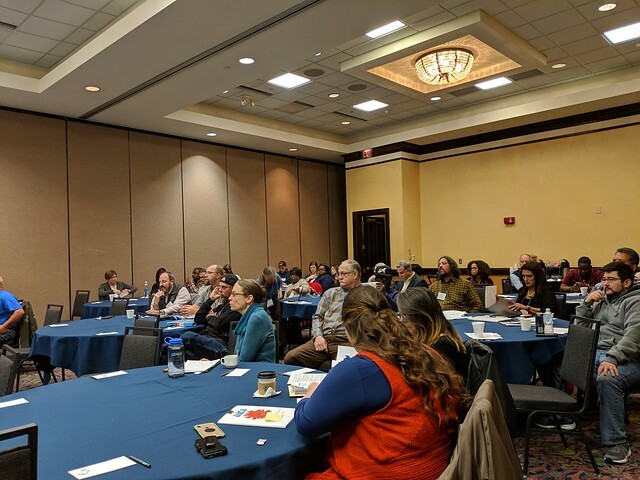 The National Association of County and City Health Officials (NACCHO), in partnership with the American Mosquito Control Association (AMCA) and the Centers for Disease Control and Prevention (CDC) Academic Centers for Excellence in Vector-Borne Disease, hosted two Vector Surveillance and Control Workshops in January 2019. These free workshops were held to increase the capacity of local vector control programs in areas affected by Hurricanes Harvey, Irma, and Marie to respond to the increased threat of vector-borne diseases following these natural disasters. Both workshops provided the same hands-on training, tailored instruction, and practical capacity-building activities targeted to vector control programs in hurricane-affected regions. Local vector control programs in Alabama, Florida, Georgia, Louisiana, Mississippi, North Carolina, South Carolina, and Texas were invited to attend one of the workshops.